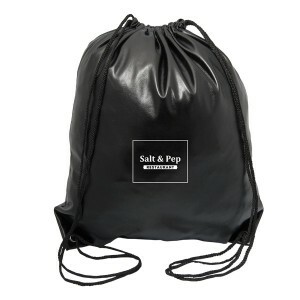 This personalized runner polypropylene drawstring knapsack work for marketers who are very serious about attracting new customers to their business. This knapsack offers them large space for imprinting business messages and also big space for users to store their valuables, essentials and other handy things during the journey or while hitting the sports ground or gym. This knapsack is made up of durable material and lasts longer than other small budget knapsacks or drawstring bags. 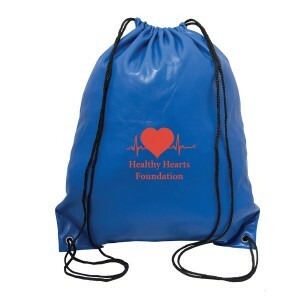 Request a quote to know discounts offered on wholesale promotional runner polypropylene drawstring knapsack. Features- PU material. Double drawstring closure on both sides allows for utilization as a backpack. Reinforced bottom corners with metal grommets. Inside is lined with soft fleece. Item Size - 14.5” W x 17” H.
Imprint Size - SP 1C – 7” W x 6” H (front/back).